Now Serving the GTA with 12 Great Locations! 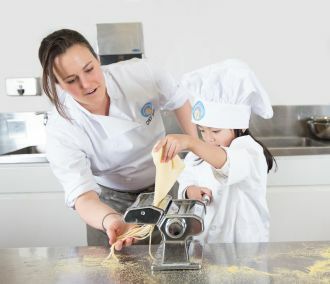 Rooks to Cooks Summer Cooking Day Camps have expanded to 12 locations in the Greater Toronto Area: Beach, Davisville, Etobicoke, High Park, Lansing, Leslieville, Markham, Mississauga, Oshawa, Scarborough, Thornhill and Woodbridge. There are 10 deliciously-themed sessions to choose from, for children ages 4 and up! Chef Shai Mandel is the owner and executive chef at Rooks to Cooks. This year alone, Shai and her team will have the pleasure of educating over 2,200 children. Rooks to Cooks hires experienced chefs to teach their programs in a safe environment, working in small groups with a 1:6 staff-to-camper ratio. Their unique cooking education program helps campers become more independent and reach their fullest potential, in and out of the kitchen. Shai and her staff know the benefits of cooking and their goal is to equip students with the skills they need to cook healthy meals and make nutritious food choices. Rooks to Cooks believes that all kids, when given the opportunity to learn about foods, food preparation and experiment with different seasonings, will greatly benefit from cooking instruction. When following a recipe children learn to work through a step-by-step process in order to enjoy the end result – a delicious meal! Bon Appétit! Rooks to Cooks is your child's recipe for success!! Please visit the website to learn more about the cooking programs offered at each GTA location: www.rookstocooks.ca.